We would like to provide those in our community with a little bit of history about our business. The Halligan Funeral Company was established October 5, 1889 in Davenport by James F. Halligan. During this time, there were thirteen funeral homes competing for business in the Davenport area. There are currently five funeral homes/mortuaries serving the cities of Davenport and Bettendorf. In keeping with Halligan's Irish Heritage, most of the funerals and wakes in the early 1900's were held in the homes of the deceased. That is a sharp contrast to today's funerals and visitations. The size and number of people attending visitations and funerals have increased tremendously over the years. This increase in visitation and funeral attendance is why we have added a large chapel and a very spacious visitation room. These are in addition to the beautiful visitation rooms that we already have. Mr. Halligan saw the need to bring in a "young man" to assume the duties at the funeral home. This man was George McCabe, a Dubuque, Iowa native. He became a partner in the funeral home in 1917. James Halligan passed away on July 30, 1930. 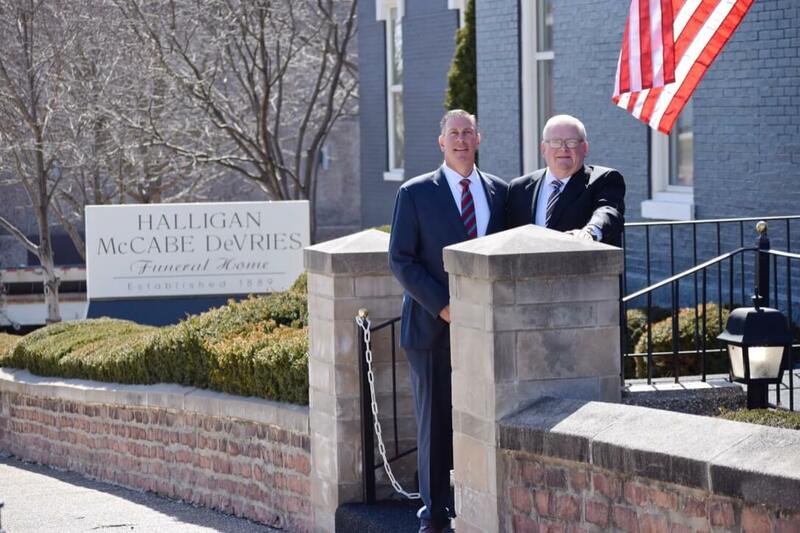 Following his death, his only surviving heir, daughter Marguerite Halligan and George McCabe formed a new partnership - the Halligan Funeral Home, Inc. In 1933, Urban F. Ott of Chicago, Illinois became George McCabe's partner when he purchased Marguerite's share of the company. She was very reluctant to sell at first, but did so when George offered to keep the Halligan name as part of the business title. In 1946, George's son, John "Jack" McCabe, became part of the business after attending mortuary school in St. Louis, Missouri. His brother, William "Bill" McCabe, joined the firm ten years later, after completing his mortuary science courses at Worsham College in Chicago, Illinois. 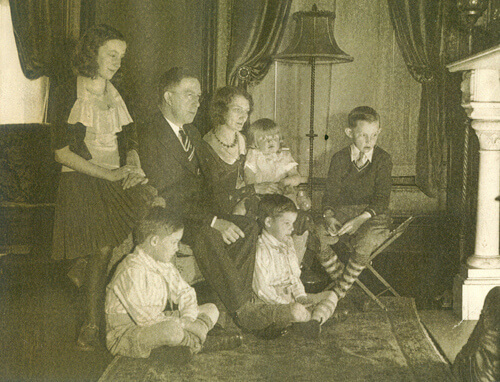 Bill was the youngest of the six McCabe children. George McCabe passed away August 19, 1959. Mr. Ott retired the following year. 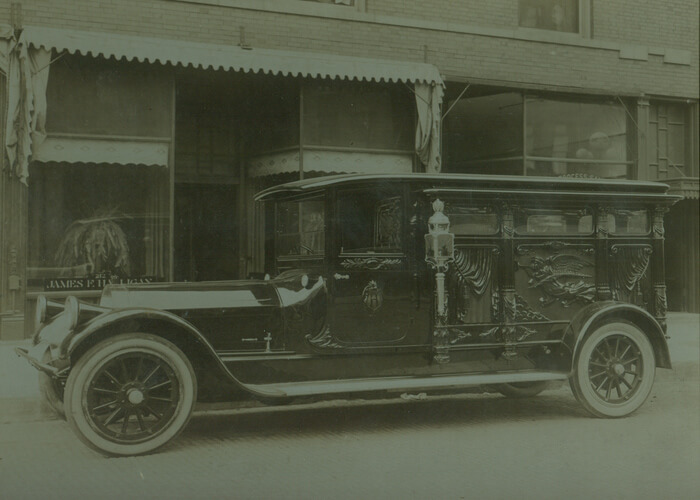 The two McCabe brothers, Jack and Bill, became co-owners of the funeral home. It was at this time that the McCabe name was added to form the Halligan-McCabe Funeral Home, Inc.
On July 1, 1974, Robert J. "Bob" McCabe, Jack's son, joined the firm. Bob attended St. Thomas College in St. Paul, Minnesota and received his degree in Mortuary Science from the University of Minnesota. Jack McCabe retired January 1, 1987. It was at this time that Bob became a partner. Bill McCabe passed away on July 4, 1997 and Jack passed away on October 26, 2008. Bob McCabe sold his interest in the company in 2015, and retired in December 2017. A lifetime Davenport native, K. Daniel "Dan" DeVries joined the firm on October 1, 1987. He attended St. Ambrose University and completed his Mortuary Science degree at Worsham College of Mortuary Science in Chicago, Illinois. Dan became a partner in the business in January of 1993. 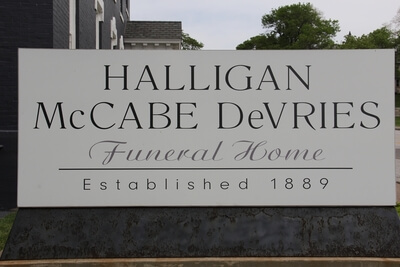 It was at this time that the DeVries name was added to the business to form the Halligan McCabe DeVries Funeral Home. Dan is the current President and sole owner of the funeral home. There are several others who provide extensive help to the families that we serve. They are: Funeral Directors - Tony Malchodi, Craig Stilson, Tom Frandsen, Nick Haut, and Scott Brown; Funeral Assistants - Mike Chupka, Tim Dugan, Ed Schloemer, Mike Jacobsen and Tony Haut; Prearrangement Counselor - Caralee Rath; Office Specialists - Theresa White and Cheryl Zeiser; Mt. Calvary/Holy Family Cemetery Office Officials - Ann Lucas and Bob McCabe; Greeters - Carole Thomsen and Joan Smith; Hairstylist - Genevieve Alatorre, Housekeeper - Rath Cleaning Services and Maintenance - Mick Landauer. Without these dedicated individuals, we could not provide the additional support and care needed to assist our families in every aspect of the funeral service. Dan DeVries and Bob McCabe, following Bob’s retirement. This tradition of family dedication is what has set us apart from other funeral homes in the Quad Cities for all these years and will continue. To ensure this, we will remain a strong, family-owned business for our community.